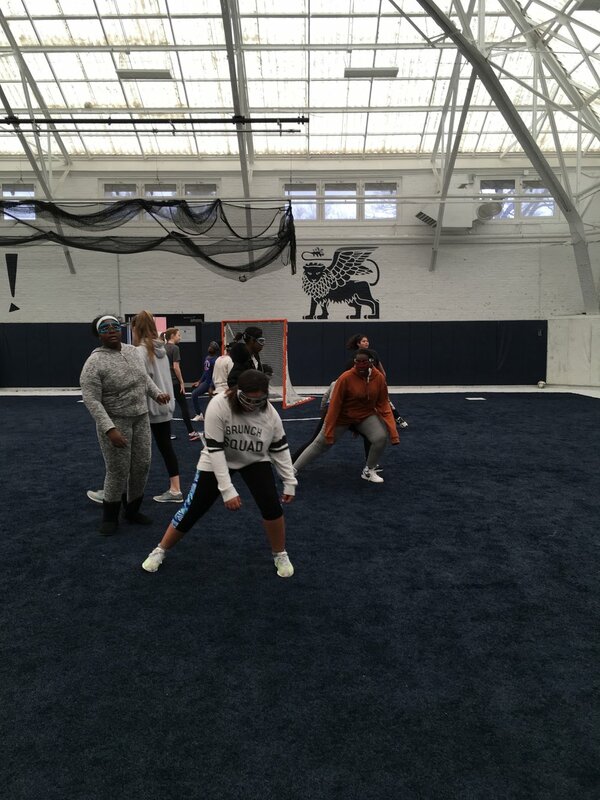 In January, HL-Boston student-athletes had the privilege of visiting St. Mark's School in Southborough, MA for a day of exploration, lacrosse, and unity. 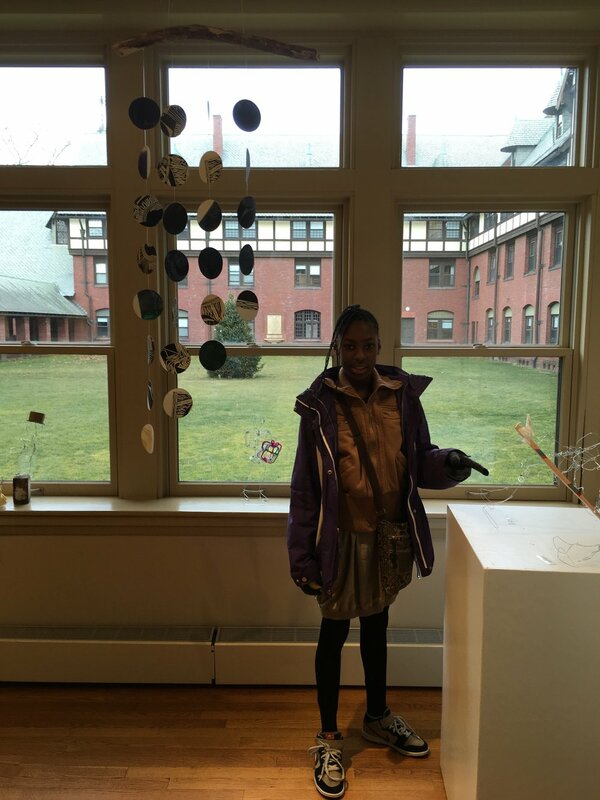 Both the Young Achievers boys and TechBoston girls were treated to a full tour of the beautiful St. Mark's campus, led by boys Assistant Coach Chris Young and Girls Head Coach Channing Warner. HLers saw the dining hall, library, locker rooms, chapel, music and art rooms, gym and squash courts, auditorium, and even the robotics lab. After learning what the life of a boarding school student is like, many HLers became excited about the prospect of attending St. Mark's one day. The day also included boys and girls practices led by each Flyin' Lions team and coaching staff. The boys had a high-energy practice working on passing, shooting, ground balls, and finished with a scrimmage. After their campus tour, the girls jumped into practice mode full-throttle and experienced the instruction of an ISL coach. 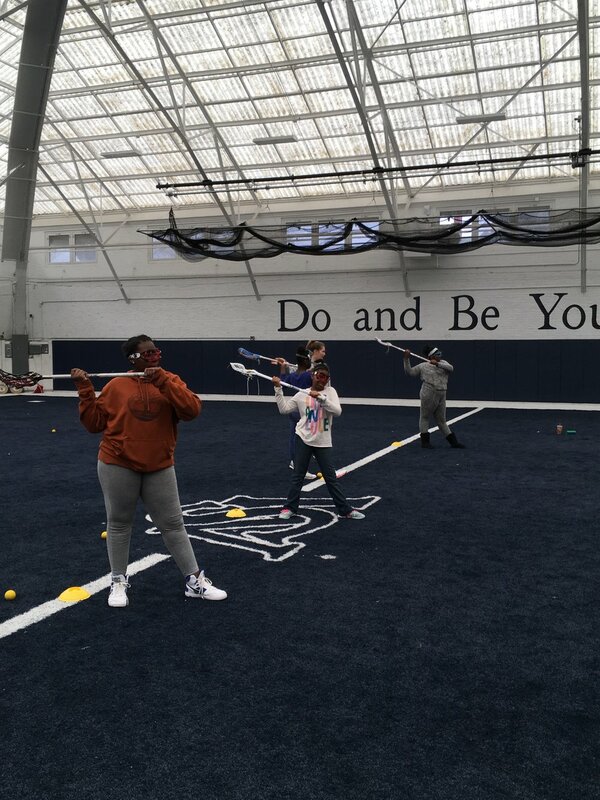 The girls worked on perfecting their throwing and catching form, as well as shooting technique. As reps wore on, improvement and confidence increased dramatically. For the girls, the day ended with lunch and a front row view of the girls ice hockey game. Meanwhile, the boys travelled to Teamworks Acton to watch the St. Mark's boys play their Clams Elite Lacrosse League (CELL) games. HLers were met by St. Mark's parent and CELL coach David Gilbin and Top Gun President Burke Walker, both of whom organized a great afternoon. The team was treated to lunch while watching elite lacrosse and getting a glimpse of what they could be someday. HLers cheered on the Flyin' Lions and even got autographs from the players after the game. Thank you David and Burke for providing lunch and creating a memorable experience for our student athletes. In addition to our visit, Top Gun CELL and St. Mark's ran a gear drive to collect equipment and athletic apparel for our programs. We were overwhelmed by the generosity of the the Clams and St. Mark's families. We collected enough equipment to outfit a whole team of new HLers. 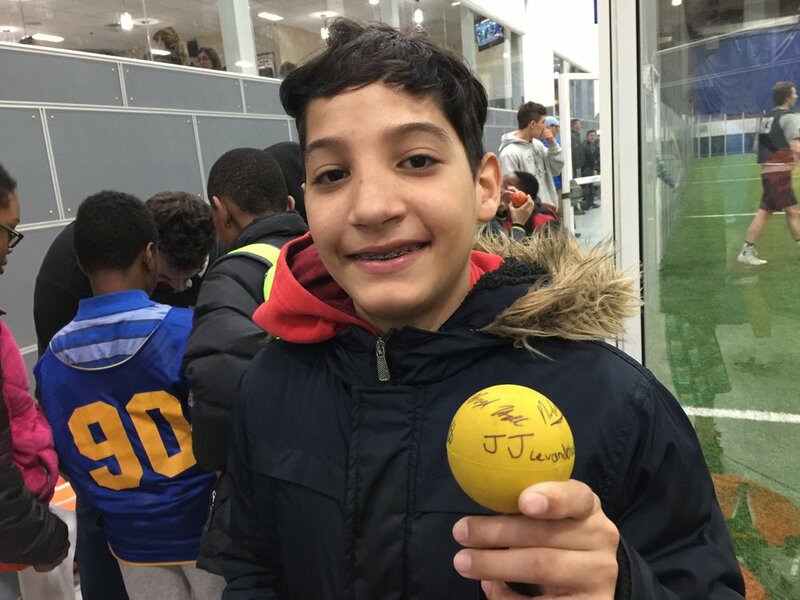 Not only do donations make it possible for us to play lacrosse, it provides incentives for our student athletes as they can earn gear upgrades through hard work and positive behavior. Your donations are making a lasting impact. Thank you! 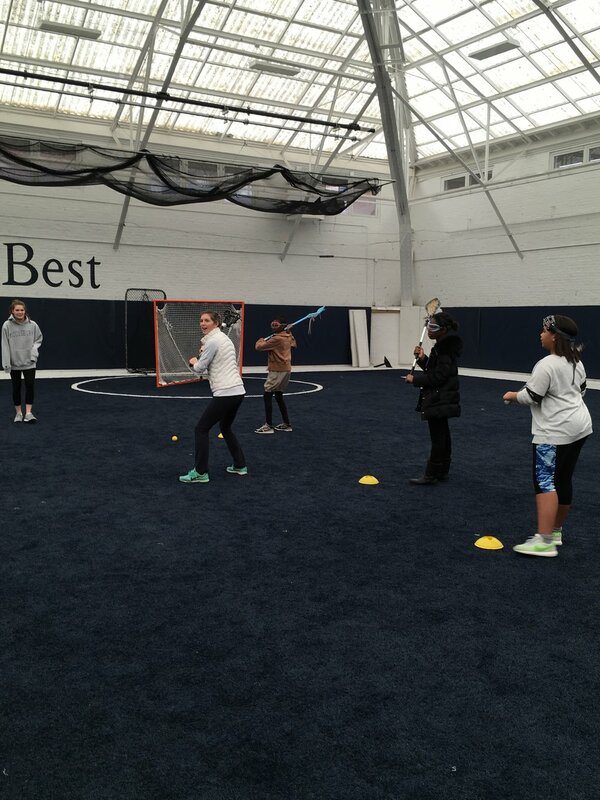 A huge thank you goes out to St. Mark's coach Chris Young for organizing the day and the gear drive, Coach Geraghty and Coach Warner for leading the lacrosse clinics, as well as players from both boys and girls squads for spending their Sunday with us and being positive role models. We can't wait to collaborate with the Flyin' Lions in the future!